“After reviewing his writings, opinions, and testimony, I have concluded that Judge Kavanaugh will create a new Supreme Court majority that will threaten women’s reproductive rights, roll back essential environmental regulations, and favor large corporations over workers. In addition, his view that sitting presidents may be immune from criminal investigations and subpoenas is particularly troublesome at this moment. For these reasons, I will oppose his nomination. It’s a welcome if expected development, but local Democrats are still watching to see what kind of fight Bennet puts up along with Senate Democrats to impede Brett Kavanaugh’s confirmation. Whether or not that resistance is successful, there’s consensus that it needs to happen in order to demonstrate to voters the contrast ahead of midterm elections–not to mention a notation in history that this troubling lifetime appointment was in fact resisted. 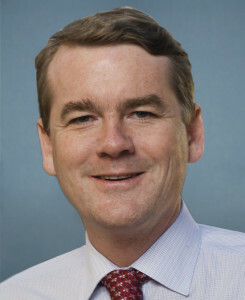 If Bennet has any capital saved up from years as a bipartisan nice guy, now would be a good time to spend it. He'll just say that Bennet didn't come out strongly enough, quickly enough against Kavanaugh. I'm only disappointed that Bennet did not mention the numerous instances of what, from my outsider position, appears to be Kavanaugh's perjury during sworn testimony in previous hearings AND this one. As a sitting judge, would Kavanaugh consider a life sentence if he knew there were literally thousands of documents purposely made not available to him that might alter the course of the trial if they were made public? I guess Mark Udall's supposed mistake of focusing on women's choice was actually quite prescient. Hmm? Prescience is rarely rewarded — being attuned to the current mood of the voters is usually a more successful strategy. But Cory Gardner cannot make abortion illegal. I read that in the Denver Post. Was that not true? FAKE NEWS! But Cory Gardner cannot make abortion illegal. I read that in the Denver Post. Was that not true?